This spacious 2400SF is located close to everything in the quiet Kierland neighborhood. With a heated pool, spa, comfortable seating around the gas fireplace, park like setting under the fruit trees, outdoor dining, and grand BBQ grilling station, you wont ever want to come inside. When its time to sleep you'll enjoy the four different options of mattresses to sleep on , from firm to plush memory foam. Watch your favorite sports team while you shoot some pool in the billiards room. Enjoy the living and dining rooms spacious vaulted ceilings and view of the back yard through large sliding doors that open to the outdoor dining area. Great eat-in kitchen with stainless steel appliances. Relax in the master bedroom that is separated from the rest of the bedrooms with your own private entrance to the back yard. The master bathroom features a deep soaking roman tub, double vanity, private toilet, and a large walk-in shower with body sprays, a wand, and rain head. Shopping only walking distance away at Kierland Commons and a short drive away from several other malls. Spring training only a short drive away. Every cuisine imaginable within a 10 minute drive. Close freeway access if you wish to travel around town. We want you to fully enjoy the time you stay with us and have committed to furnishing this home in a way to best suit your needs. We will do our best to accommodate you should you need anything or have any questions. Two car garage with storage cabinets. Large comfortable living room with big screen TV and view of the pool. Some spices, coffee, coffee filters, and a few things to help you out. Service for ten but more available upon request. Dining room table extends to accommodate more. Small eat in kitchen seats 4 and outdoor dining to seat 10 or more. Lots of room in the private backyard with citrus trees. Grand back yard patio with lots of seating to rest and relax. 7 person. Not chlorine. Salt water. Different types of mattresses in every room to accommodate every type of sleeper. A quiet neighborhood that is close to anything you wish to do. A great place to rest, relax, and unwind. We have been coming to this house for 4 years and have booked for next year already. House is well kept. The caretaker is very attentive to our needs. Great vacation home for families. We plan to keep coming back. What a wonderful house. Our family really enjoyed our time in Scottsdale! Would definitely stay there again! 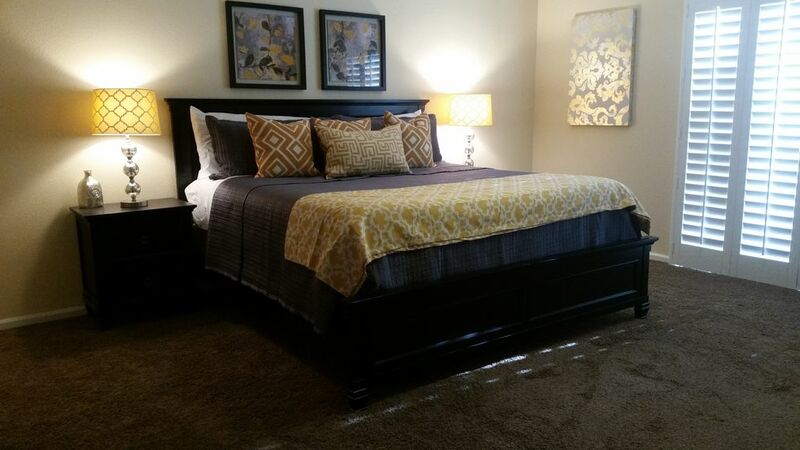 Top notch owner, great communication and super clean large house. Worked perfect for our golf trip. Thanks Paul and look forward to renting again next year. Beautifully decorated, well-equipped kitchen, very clean and organized, and prompt and thoughtful responses from the owner. We will definitely stay here again in the future! Thanks for offering a great place to stay! We stayed here for a family trip in December. The house perfectly accommodated our needs with a great outdoor space and great location. The house was stocked with everything we needed and Paul was very accommodating to our needs. Would definitely stay here again the next time we make it back to the valley.